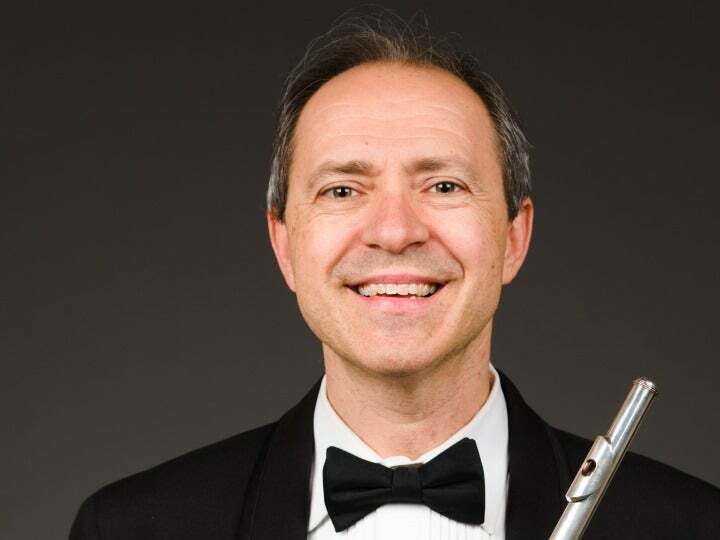 BART FELLER, the New Jersey Symphony Orchestra’s Principal Flutist, joined the Orchestra in 1989. He has appeared as soloist with the NJSO on numerous occasions, including performances of the Mozart Flute and Harp Concerto and Bach’s Brandenburg Concertos. 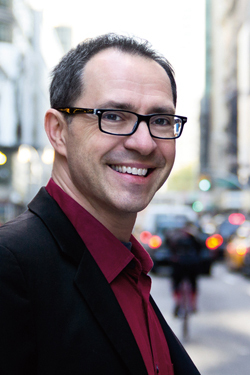 He is also Principal Flute of the New York City Opera and Santa Fe Opera, and he has performed with the Chamber Music Society of Lincoln Center, Orpheus Chamber Orchestra and New York Philharmonic, among others. He released his latest CD, a recording of the Mozart Flute Quartets, in 2011. He is on the faculty of Rutgers University’s Mason Gross School of the Arts and the Pre-College Division of The Juilliard School. He attended the Curtis Institute of Music. What was your musical training, and when did you join the NJSO? I started playing the recorder at the age of 6. I followed with piano at 8 and flute at 10. My father had played the flute, clarinet and saxophone before becoming a CPA, so the instruments were in the house. My reason for choosing flute was that my sister had already chosen the clarinet, and the saxophone was bigger than I was! I attended The Juilliard School Pre-College Division while in high school and then the Curtis Institute of Music. I loved the Juilliard program because I felt like a musician for one day every week. Curtis was very rigorous and intense, and I was able to study with Julius Baker, the former principal flute of the New York Philharmonic and an absolute legend. Now I am fortunate to be able to teach in the Juilliard Pre-College Division and hope to give back to my students some of the valuable things I was taught there. I played in Memphis for three seasons before joining the NJSO in the fall of 1989. Tell us about some of your favorite repertoire. I feel fortunate to play the flute in a symphony orchestra. I love so much of the repertoire. I love Bach and playing his choral works, in particular. Without him, Western music would not exist; he is the foundation. I love Mozart and Hadyn and the way the flute sparkles in their music. I love playing Schubert, Schumann and especially Brahms, who wrote such glorious, romantic flute parts. In the 20th century, the flute gets to express the brilliance and bite of Stravinsky, the color and sensuality of Ravel and Debussy, the iciness of Shostakovich and the grandeur of Copland. So much great music! I grew up playing piano out of my dad’s “fake book” of standards and Broadway tunes, so that music has always been dear to me. In fact, during summers off from Curtis, I played restaurant piano to earn spending money. The highlight of my piano career was playing for Tony Bennett on morning TV in Philadelphia. We performed “As Time Goes By” and “Watch What Happens.” How fun was that?! I still listen to the great artists who sing that music: Ella Fitzgerald, Sarah Vaughn and Louis Armstrong. I also love Joni Mitchell, Sting, James Taylor, the Dixie Chicks and the shows of Stephen Sondheim. I am crazy about hiking and have sought out musical opportunities in beautiful places to be able to hike as much as possible. To that end, I have performed at festivals in Colorado, California and the Grand Tetons in Wyoming, and now I play at the Santa Fe Opera in the summer. I love photography as well, which is great for Santa Fe, too.